Affordable Web Design Miami, Web Hosting Miami – Search Engine Submission SEO Miami. Look who we service… PartyCity, Electrician Miami, Bird Bowl, Romero Britto Art, Massage Miami, Racing School, Dragongate, Mark The Shark. Miami Web Design Company, Custom Web Design, Affordable Website Design, Cheap Web Design, Cheap Web Designer, Davteks web design company is now your number 1 in affordable website design company. View some of our customers site and see why. We are affordable but not cheap! We combine Web design and Search Engine Optimization SEO Miami to make your site extremely powerful and beautiful. Please view our web design portfolio and be the judge yourself. One of our Senior Network Engineers will professionally troubleshoot, setup or administer your Microsoft Window NT/2000/2003/2008 Server(s). These highly experienced network engineers have extensive experience with Network Security, VPNs, DNS, Remote Access, Exchange, Outlook Web Access, Web Server and more. We would be pleased to provide you with an obligation-free on-site assessment of your network requirements. Congratulations! You have discovered the smart choice for affordable and reliable on-site Computer Repair Services in Miami and Networking Support Miami. We are local to the South Florida – Dade – Broward – Miami – Fort Lauderdale area. Our work is done properly the first time – quickly and correctly. We are straight-forward computer technicians who are honest and who honestly care about our clients. We are an established teamof seasoned technicians with years of technical training, hands-on experience, hundreds of satisfied clients, and a proven track record of successfully completing technology projects on schedule. No job is too small or to big for our team. Along with our “on-demand” on-site repair services, we provide complete IT outsourcing solutions for small and medium sized businesses. We also provide a wide range of vendor solutions through our vast network of partners. In the long run, we can support your network with regular maintenance and remote monitoring at a fraction of the cost of employing technicians. Home customers are welcomed too. Contact us today to find out how we can help your organization maximize technology for your business and reduce your overall networking support costs. Call 305-226-6111 and discover the personalized and friendly “Davteks way” of doing business. The davTeks enTerprises Team specializes in computer Support, Computer Repair, Networking, Virus Removal, Worm Removal and Web Design Miami & Web Hosting Miami with our own servers in Miami. Our full Web Design and Development team is ready to serve you. We supply & install all camera Surveillance equipment for Party City Super stores all over the US plus many other businesses & homes. We are local to Miami Dade, Broward, Palm Beach & the Monroe (the keys) Counties. We also have customers in other states as close as Atlanta and as far as Hawaii. Other countries, Contact Davteks today so we can help your business as well. Computer repair in Miami and computer repair in broward is a big business. Along with computer networking and just being a true professional in the business. Now we specialize in camera surveillance in Miami and Broward. As a complete web solutions company, we offer customized-web design services. We develop quality solutions for individual business needs. Our web designs are always unique and tailor-made. 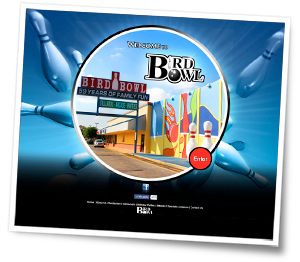 Through our web design Miami and web design Broward team, we offer innovative designs. We are always on top of the latest search engine optimization strategies to catapult your internet business to new heights. Arturo Oliva is one of our talented Web Developers in Miami. He brings superior knowledge in programming. Not only is he a web programmer, but a computer repair tech in Miami. Now Davteks offers Camera Systems in Miami and Broward. 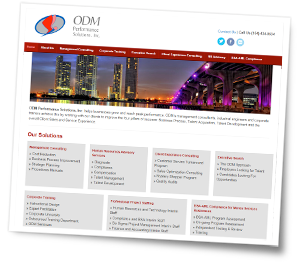 Jonathan Coral adds flair to our distinguished web design team in Miami and Broward. He has impressive experience and special talents in web animation. His capabilities with Flash takes website design a step further. Since Davteks has their own Web Hosting Servers in Miami, between our website design team and Website hosting servers in Miami and Broward, this makes a great one two punch!